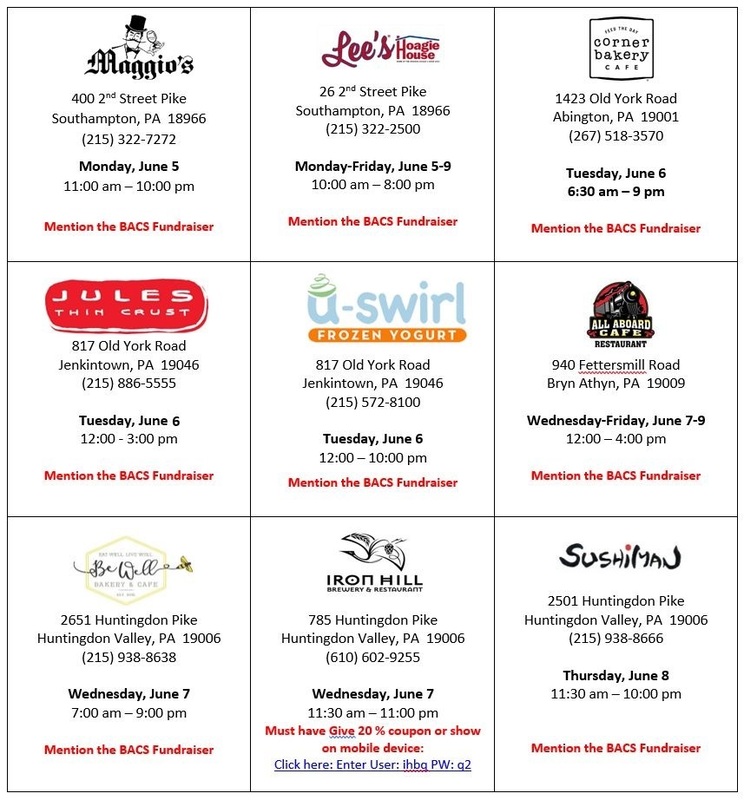 Restaurant Week June 5-9 supporting BACS! Choose one or choose them all! any of the following restaurants! Don’t forget to SHARE, SHARE, SHARE with your friends, family, and coworkers!